Yes, HTC has promised to unlock the bootloaders on future devices, as we reported. No, it was too late for HTC to debut its new policy with the Sensation. But all hope is not lost according to a form letter received by several members of XDA who had asked HTC about the bootloader on the device. Some of the pertinent portions of the reply from the Taiwan based firm says that HTC is developing unlocked bootloader software for the phone which is necessary because updates for many phones, including the HTC Sensation, were finalized before the change in policy. The manufacturer goes on to say that HTC Sensation owners should, "be assured that we are working on a solution for our customers and our commitment has not changed. Please stay tuned to our official channels for ongoing updates on how we will be implementing this policy. Thank you for your patience." HTC still needs to clarify which of its previously released models will be unlocked, and when the policy will begin to take effect on newly launched models. 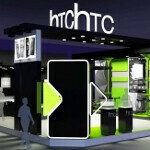 As we told you, the HTC Sensation 4G will launch from T-Mobile on June 15th. HTC is committed to unlocking the bootloader so don't worry. It's just a matter of time until the HTC Sensation will receive the software update. Patience is a virtue, but I understand the concern. If my HTC Evo 3D had the bootloader locked I would be saying the same! Just stick it out & you will be rewarded! Had I knowen the damn clock was locked that large on te home page. this phone I got from AT&T would have stayed there and I would have gone with another. Are you putting out a fix that will still have a smaller clock as not to cover the background picture. As in the Razr v3 I just replaced with this HTC phone.